Oreo. That is all I have to say to get me thinking about having a delicious cookie. For me there is no better cookie than the Oreo. Plain, or dipped in milk you just can’t go wrong with Americas Favorite Cookie, the Oreo. How can you improve on perfection? Well maybe you can serve it warm with sugar sprinkled on top? J&J Snack Foods came out with a way to make Oreos even better Oreo Churros! Oreo meets Churros - The Ultimate Mashup! America's Favorite Cookie is now available as a melt-in-your-mouth chocolate churro pastry. A crispy exterior, warm soft interior and real OREO cookie pieces in every bite give OREO Churros a just-baked Oreo taste. OREO Churros are available in the frozen dessert section of most grocery stores. They're perfect for any snacking occasion and are easy to prepare. They bake in just minutes. There's even a crumb sugar topping to roll them in before serving! As soon as these arrive my family could not wait to check them out, I told you we loved Oreos! These crispy, chocolate churros are packed to about 18 bites in a box are made with real Oreo cookie pieces and are filled with the vanilla cookie’s delicious crème we all love. After baking for a bit these were ready to roll in sugar and enjoy. I could taste the Oreo filling and chocolate cookies in each bite, I really enjoyed this divine treat. These delectable treats originally debuted in 2014 but were only available at sports stadiums, amusement parks, and few stores but people loved them and now they are available nationwide! Find the Oreo Churros in the frozen section of your supermarket. 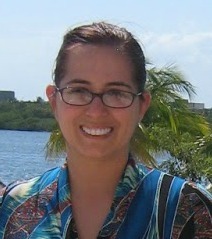 One of Susan’s Disney Family readers will win four VIP Coupons for a free box of Oreo Churros. Would you like to enter? Please let me know who would love to try this new sweet treat! If you have tried this yourself, what did you think of the Oreo Churros? There are also other ways to enter, please enter below. You can purchase these Oreo Churros at your local supermarket. Visit the store finder to find a store near you. One winner will win four VIP Coupons for a free box of Oreo Churros. We would LOVE to try Oreo Churros. My parents would love to try these because they have the grandchildren over often and they love cookies and sweets. This would be a great treat for all of them after dinner or lunch. My sons, husband and I are such huge Oreo fans. 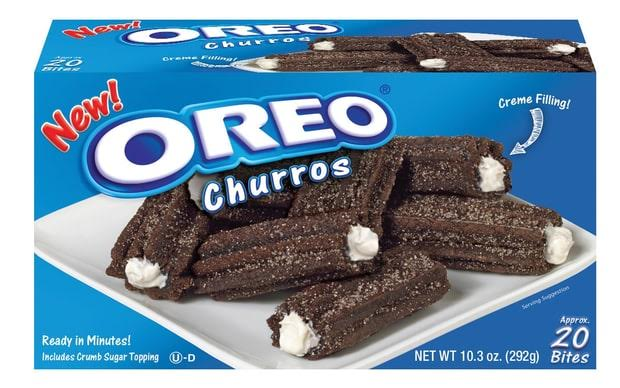 This is the first that I've heard of Oreo Churros and I think my family would absolutely love these. They really sound great. I haven't tried these new Oreos's snacks, but I would love to give them a try. My kids love Oreo's and would love to try this new one. I would like to try them with my family. We love Oreos and these look delicious. The kids would love to try these. They look good. To be honest, I would love to try these! I love sweets! We haven't tried this new treat yet! I know my grandsons would absolutely love to try it! I haven't seen these yet but I want to try them. I don't know of anyone that would not love to try these. We haven't seen these yet but my 2 grandsons and my teenage daughter would love these. We have not tried Oreo Churros as of yet. I know my son would love them and I would also enjoy trying them. Oh I have not seen these before...they look so good! I would love to win for our family, I think everyone would love them! I haven't tried them yet but I'm sure my son would love to. My kids and I would.